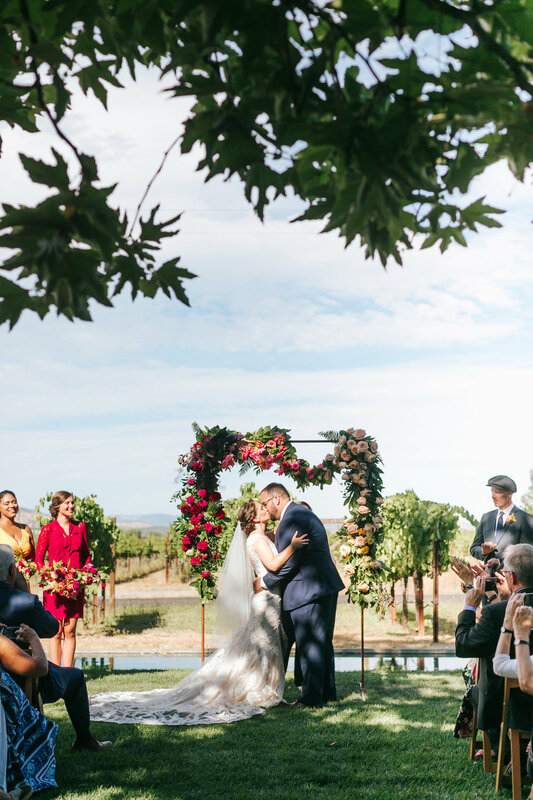 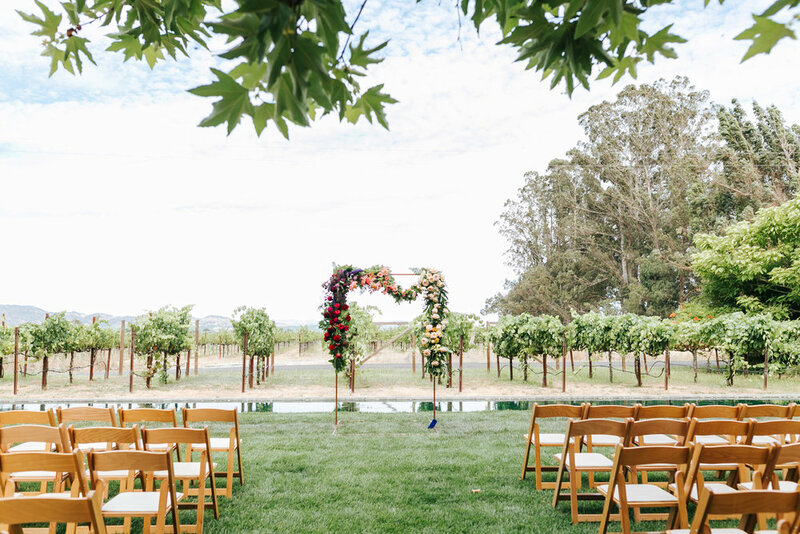 Carrie and David were wed at the beautiful Cornerstone Sonoma with a ceremony in the gardens and a beautiful tented reception. 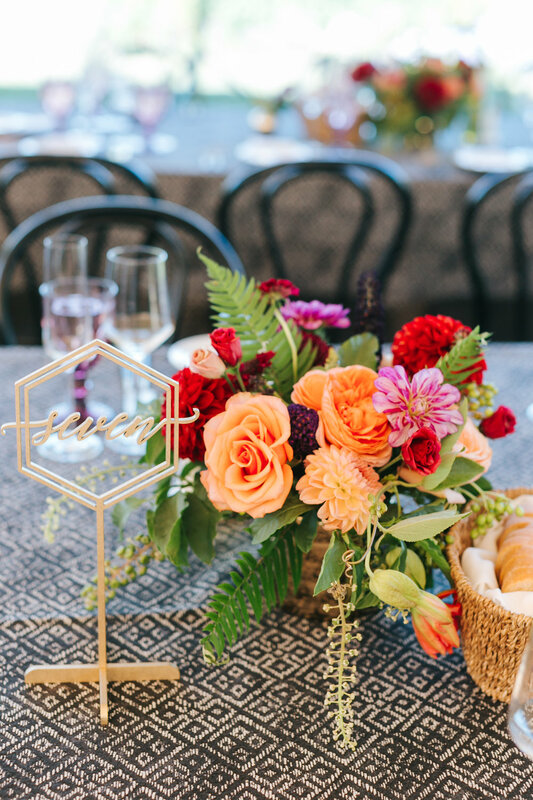 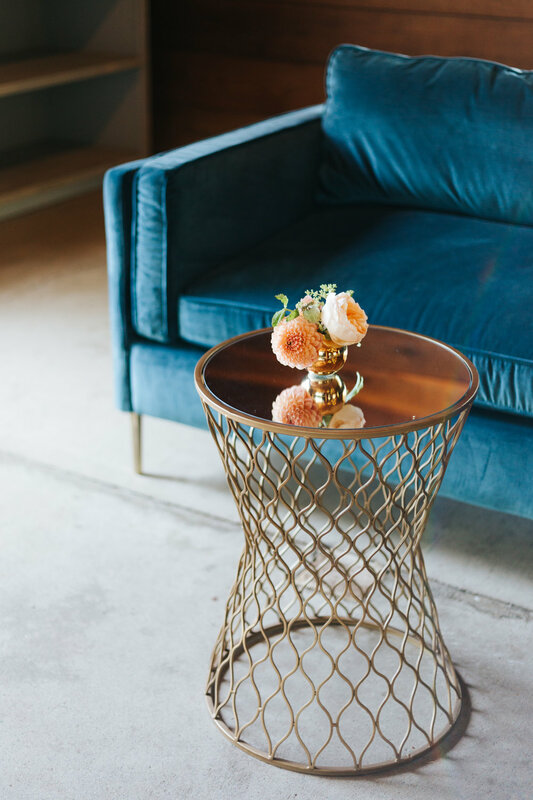 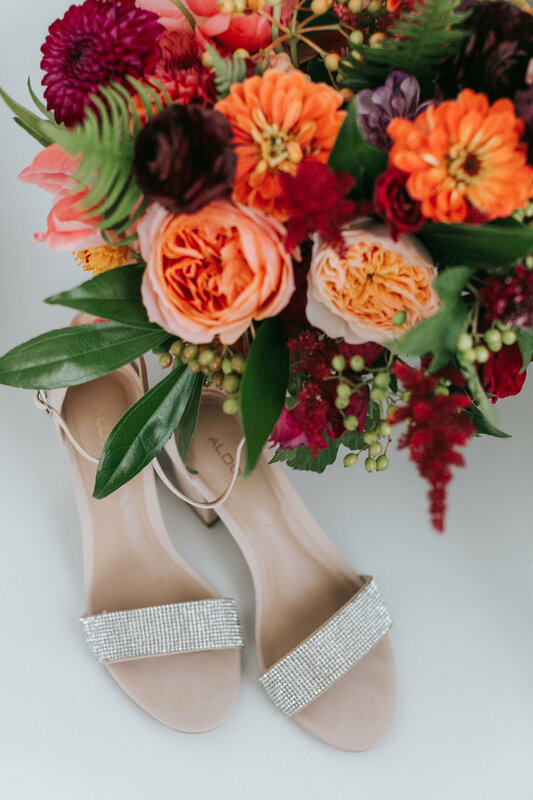 I worked with both the bride, Carrie, and Kristen from Sugar Rush Events to design a fun, colorful, and modern summer wedding. 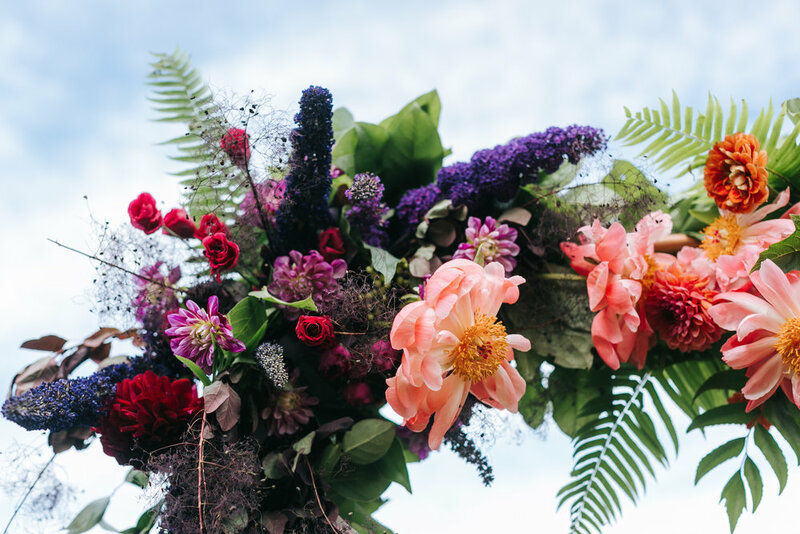 We designed a lush ombre arch with shades of red, purple, coral, peach and yellow. 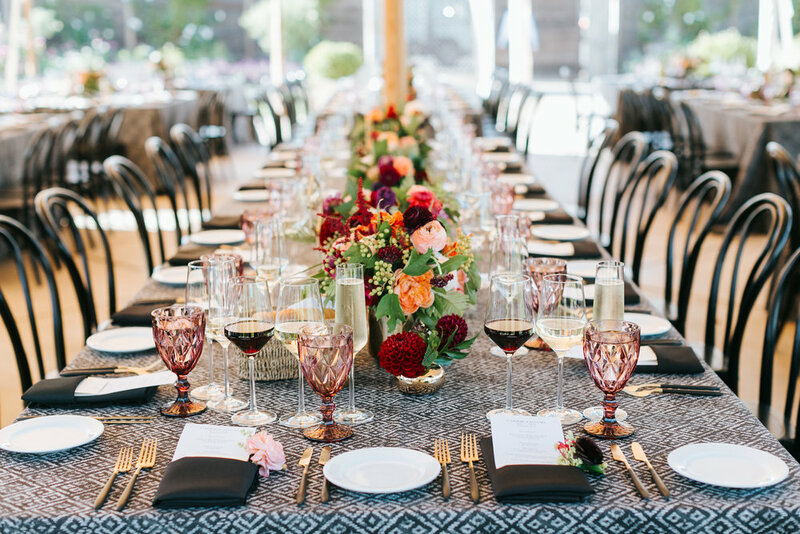 The reception tables featured modern black and white linens accented with vibrant blooms in gold vessels. 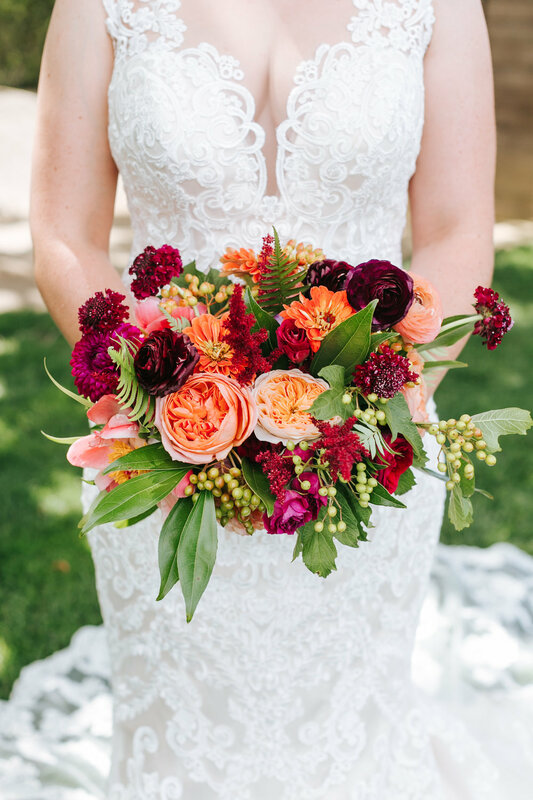 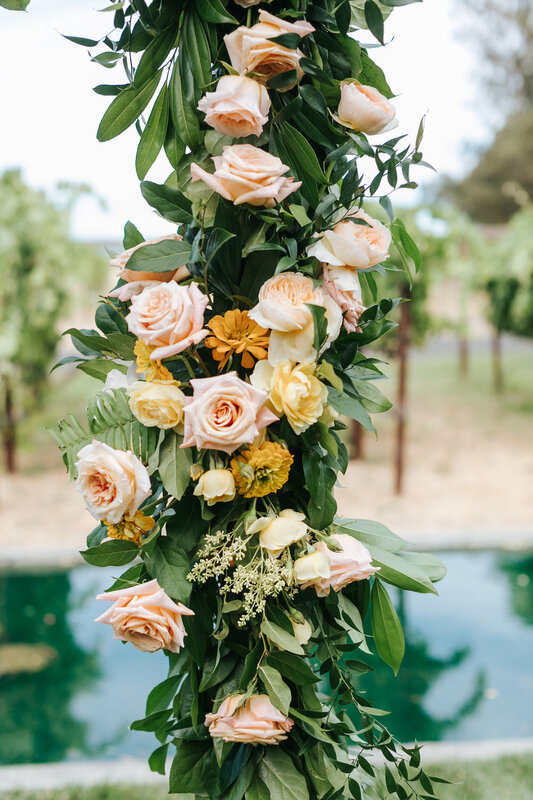 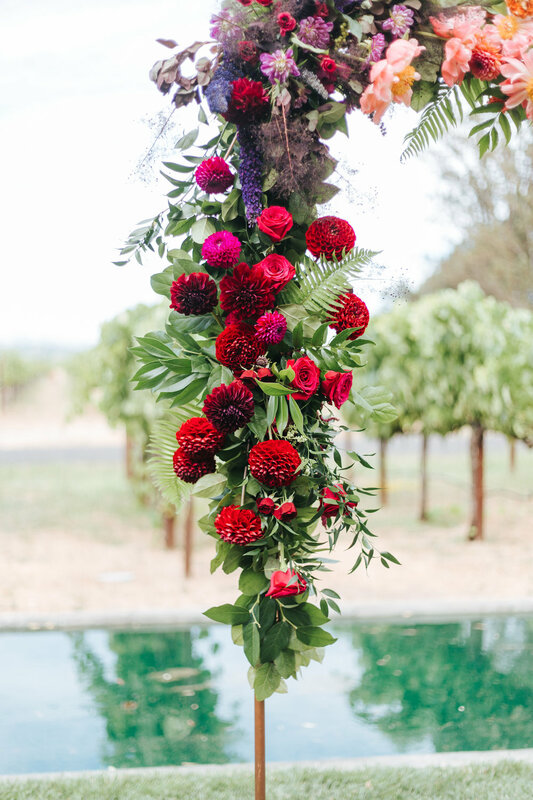 Seasonal blooms and vibrant greenery such as fern, viburnum berry, passion vine and more were incorporated. 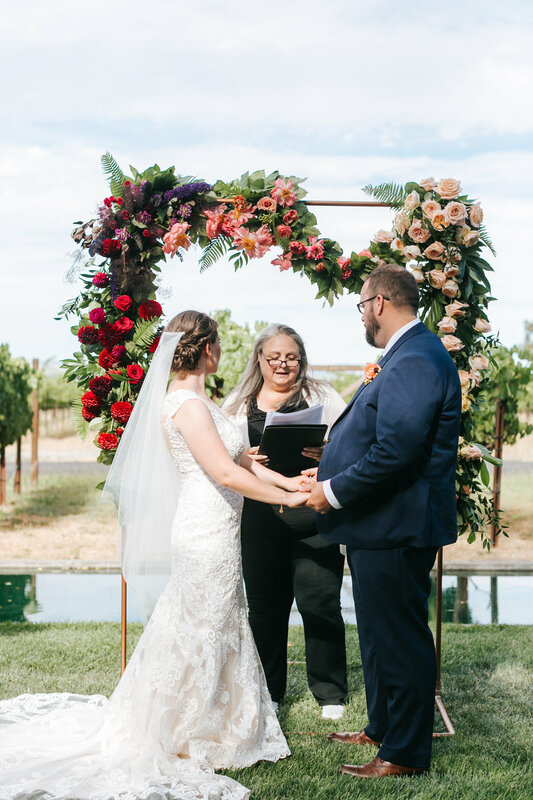 Thank you to Margaret Austin Photography for capturing these awesome images!